A key difference is that the latter would ban wineries from importing any wine, even for emergencies such as the earthquake that devastating vineyards in Napa Valley. Since San Diego is primarily a red wine producing area, wineries would not be allowed to serve up chardonnays for winery guests to sip. Micole Moore, president of the Ramona Valley Vineyards Association (RVVA) and winemaker at Ramona Ranch and Winery, says he worked with the Ramona Community Planning Group and others to develop suggestions to improve the proposed ordinance, which were passed by the County Planning Commission. “Unfortunately, a small fraction of Ramona continues to sabotage the industry,” he wrote in an email to RVVA members. 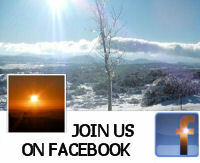 He indicated he would meet with Supervisor Dianne Jacob this week among other actions. Perhaps the most scathing denunciation came from Tammy Rimes, owner of Hacienda de las Rosas Winery and former Director of Purchasing & Contracting for the City of San Diego. 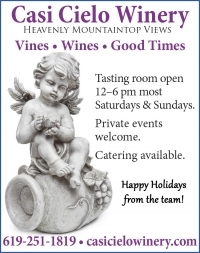 “I’m appalled at the lack of customer service and ethical displays by your own Planning team in regards to the upcoming Winery Ordinance update,” says Rimes, who along with her late husband, William, put in hundreds of hours helping to write the initial ordinance. She says fulfilling her husband’s dream of opening a winery in Ramona took thousands of hours and many meetings—battling county regulators all while William was fighting cancer, which ultimately claimed his life. “I will not be attending the upcoming Board meeting, because frankly, I just can’t take the drama and negativity regarding this whole process and the County team’s lack of respect for our local winery and vineyard community,” Rimes said, adding that she fears retaliation for speaking out. 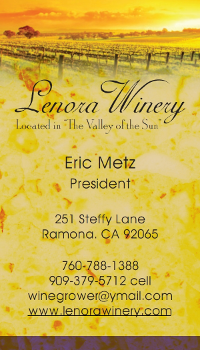 Eric Metz from Lenora Winery, in an email to Lyttle, says he, too, has not yet attained profitability after sinking hundreds of thousands of dollars into the business largely to comply with onerous county regulations. ..is totally out of touch with the "real" world. their real motto should be ...Maximize Revenue. The current one about the public good is BS. or run a B&B or operate a winery, the local bureaucrats will kill you. That's just what they do, in order to maintain their empires and income. Foreign companies can come into East County and despoil our environment with their grand projects under all kinds of waivers, but when the small residents and entrepreneurs try to build anything from a garage to a winery business it's "no" this and "no" that. It's how they get their kicks, apparently. Why should they care? They're busy feathering their own autocratic nests.